The term homeostasis was developed by the esteemed Walter Bradford Cannon in his landmark 1929 research out of the Laboratories of Physiology in the Harvard Medical School, describing in objective functional terms the ideas of Hippocrates that disease is largely cured by complex physiological mechanisms that maintain functional stasis (equilibrium), an idea that was always resisted by scientists who think that humans should be superior to Nature in controlling disease. These concepts imply broad philosophical beliefs that continue to guide our approach to medical treatment. Such concepts as the patent rights of medicines that are created by humans and distinct from Nature largely determine what medicines we use in society, and create an economic incentive that has largely destroyed the realm of natural medicine and the concept of maintaining and restoring homeostasis as our chief tactic in treating disease. In the twentieth century, modern medicine has largely ignored the scientific findings of one its most esteemed architects, Walter Cannon, and created an industry of classical synthetic drugs that are designed to alter and inhibit homeostasis to control disease. While these issues may seem complex and convoluted, they have unfortunately been at the heart of medical debate and philosophy for many centuries. Homeostasis means an equilibrium of similar chemicals and functions in the human organism, which is essential to good health and healing. Maintaining this healthy equilibrium, and restoring it, lies at the heart of many traditional medical specialties, especially Daoist traditions in China, such as TCM. In the twenty-first century, biologic allosteric modulators are finally being created to restore the homeostatic mechanisms programmed into our genetic and epigenetic code, and will finally establish that approaches in traditional natural medicine are both more effective and involve fewer adverse side effects. Integration of natural medicine in the form of Complementary and Integrative Medicine (CIM) and the specialties of Traditional Chinese Medicine (TCM) and Naturopathy may finally be implemented to make these new approaches in standard medicine work even better to help the body cure disease. Of course, this will not happen unless the public understands the issues and exerts influence through patient demand. The individual patient should be concerned about the correct strategy for fixing their health problem in the most sensible, safe and efficient manner, and increasingly an emphasis is placed on a more proactive approach to managing one's health problem, and not just relying on the advice of a physician, and the company that they work for. For too long, larger and larger lists of side effects on newer medication, and strategies that seem to emphasize the most expensive approach, not the simplest, have become the norm. An erosion of trust has developed, and this situation is very complex and very stressful. To achieve more control of this situation, patients are seeking better education concerning their health problems, but increasingly, the medical industry seems to be reacting to this approach often with just more confusing information, and often misinformation. To truly understand this enormous problem, one needs to get to the heart of it, to where our modern medical system veered off onto this path, and why. The subject of homeostasis lies at the heart of our modern approach, and in fact our historical approach, to basic strategies in medicine. It is generally acknowledged that the fundamental ethical considerations in medicine espoused by the famed Greek philosopher physician Hippocrates should guide the medical approach in civilization. In China, the great physician philosopher Sun Si Miao is considered the chief voice of medical ethics. These philosophies were very similar, and even today medical doctors in the United States take the Hippocratic Oath, although it seems that few doctors know what Hippocrates outlined. Concepts such as do no harm are well known, yet are commonly interpreted only in selective matters by physicians today. In truth, Hippocrates wrote extensively on medical approach and the ethics involved in choosing the best medical approach, emphasizing that safer conservative treatments, and changes in diet and lifestyle, should first be tried whenever possible, and thus do no harm became Hippocrates' well known credo. What is less well known is the advice from Hippocrates to avoid a one-size-fits-all approach to medicine, making sure to individualize the treatment protocol, and to understand that the innate mechanisms in the body itself will be the primary cure, not the external medicines and procedures, whenever possible. This innate mechanism of cure from disease and injury was later called the homeostasis, or the systematic tendency to remain physiologically stable. In fact, Hippocrates defined disease as the disruption of homeostasis, and urged physicians to try to restore this systemic balance, which is maintained through a variety of feedback mechanisms in the body. Currently, we have recognized that such serious diseases as cancers are largely metabolic diseases, and failures of the homeostatic systems to deal with various physiological stressors in correcting constant cell mutations. We have also learned in recent years that obesity and most cases of diabetes are the result of a disruption of homeostasis by thwarting the natural individualized Biome, or colony of symbiotic bacteria, that makes up an important part of our homeostatic mechanisms. Increasing overuse of antibiotics, and other drugs that disrupt this system of homeostasis, has led to crisis in public health. Judicious utilization of these allopathic therapies when necessary, and integration of more conservative medical protocols that instead support homeostatic mechanisms, is needed. Of course, restoration of homeostasis is often a gradual process, and may not create immediate symptom relief, but the long-term benefits of such restoration will create a healthier individual and not a chronic dependency on a list of drugs with an enormous list of potential adverse effects. The human organism has evolved many ways to restore and maintain this homeostasis, including chemicals in foods and herbs, as well as healthy regimens of exercise, stretch and focused relaxation. The pharmaceutical industry since World War II has focused on drugs that alter these homeostatic mechanisms, inhibiting pathways that express, and sometimes overexpress chemicals involved in disease. Disruption of homeostatic mechanisms are often caused by chemicals in the environment, yet little emphasis is placed on analysis of these effects and advising the individual patient to stop this disruption. Public health involves education concerning healthy dietary and lifestyle habits that promote a better homeostasis in all individuals, as well as avoidance of environmental stressors that disrupt it. Instead of adopting such a public health protocol, as successful civilizations have done in the past, a general notion that you don't need to worry about environmental factors, such as toxins, poor diet or lifestyle, or even the adverse effects of medication, in the modern society, when you can just take a man-made synthetic chemical medicine to alter the homeostatic mechanisms that have gone wrong and led to your disease. This attitude is proving disastrous. Naturalistic medicine, on the other hand, emphasizes a careful individualized analysis of homeostatic imbalance and the means to restore homeostasis, reducing excesses in the organism, and restoring deficiencies. Of course, these two medical perspectives, commonly called allopathic and holistic, are both helpful, but should be integrated in a sensible way to arrive at the most effective treatment protocol that produces the least harm and risk. With such a failure in public health, it is important that each individual in our society understands these issues and adopts this integration of health care approaches to treat and prevent disease more successfully. Homeostasis involves the elaborate interaction of various systems in the body to maintain an optimum static level of function, or equilibrium, such as the optimum temperature, acidity, rate of neural firing, levels of oxygen and carbon dioxide, balance of mineral ions, correct digestive secretions, levels of various antibodies and other immune cytokines, etc. This complex static balance is referred to in Traditional Chinese Medicine as the balance of Yin and Yang, and Daoist physician philosophers noted that it is a balance that is always changing, but still maintains the same levels, with Yin becoming Yang, and Yang becoming Yin, yet Yin and Yang always in balance. The ancient Daoists in China observed that all disease could be described as an imbalance of Yin and Yang, and that all Daoist physicians should observe the individual and seek to restore the balance of Yin and Yang to cure disease. This was very similar to the ancient Greek notions of a balance of humours in the body, which was analogous to the Daoist concepts of the 5 elements, and these ancient Daoist concepts, a science of the natural order, or Way (the Dao), completely mirror the Greek concepts that our modern medicine in the West are based upon. These ancient concepts merely describe the need to assess homeostasis and achieve a restoration of this important systemic mechanism whenever possible to cure or prevent disease. These fundamental concepts are still important in Daoist medicine today, in the form of the medical specialty of Traditional Chinese Medicine, and although the Chinese terminology may still seem foreign and exotic, the concepts are practical. Modern descriptions of homeostasis focus on concepts such as allostery and feedback to explain how this homeostatic balance is maintained. Allostery refers to the regulation of an enzyme or protein messenger by the binding of a chemical effector at an allosteric site, such as a protein hormone or antibody. The feedback mechanism involves a quantum field of chemicals and bioelectrical ionic charges that respond by creating a feedback loop that self-regulates, or in other words, sends signals back when effects are created that then self-limit the system to a proper range of effect. In other words, as events trigger other events, this creates an accumulation of effects in an elaborate cycle that always regulates the whole cycle of events. Our hormonal system is a perfect example of such allostery and feedback. When there is a need for an effect, this need creates a sequence of chemical events that stimulates increased production of types of hormones, which then trigger hormone receptors to achieve the functional need, and once triggered, these receptors create a sequence of chemical events that then signal a decrease in the hormonal production, or a change of this type of hormone to another type. The elaborate system of hematopoiesis, or formulation of the various blood cells in the bone marrow, is another prime example of homeostasis, and provides us with a fluid responsive system of creating a large variety of nutrient and immune modulating cells that respond to a large array of stressors and diseases. The complexity of such a system is very great, and depends upon the whole cellular and even systemic environment interacting. In order to make this work well, an elaborate set of programmed data is created to control it, called our genetic and epigenetic data, which we are given by our parents in inheritance, and acquire in our code from our environment. In addition, we are now learning that a homeostatic balance between the symbiotic Biome and our human cells and systems is extremely important as well. Working to maintain these elaborate homeostatic systems is very important in health maintenance and prevention of disease. One system that is a prime example of homeostatic mechanisms is the adrenal hypothalamus-pituitary axis, a loop of feedback regulation between the kidney endocrine glands and the brain. This feedback loop regulates many important functions in the body, and changes not only via feedback signals, but in a diurnal, or day and night pattern, as well. The Daoist terms Yin and Yang refer to night and day, dark and light, shade and sun, and reflect this concept elegantly. The terms Yin and Yang also refer to substance and function, such as hormonal substance changing into physiological function. While these terms in Traditional Chinese Medicine, Yin, Yang, Qi, and Shen seem exotic, and in the Western cultures are misconstrued still as strange concepts of magical properties and energies that are affected by acupuncture stimulation, we can see that this is just a misdirection, and that the terms are instead eloquent descriptions of the concepts of homeostasis, accurately describing the complexity of this regulating mechanism that keeps us healthy. By utilizing a system of analysis such as the Daoist physicians developed, we are able to assess individually the homeostatic balance and imbalance of each patient and apply this to their specific state of disease or injury. A more businesslike assessment occurs in allopathic medicine, conforming to the need to fit most of the patients with a disease or injury into the same box, to streamline a one-size-fits-all treatment protocol, and utilize the same alteration of homeostasis for all these patients to effect a control of the disease. This is not a binary judgement of allopathic versus holistic medicine, as most would proclaim, but simply an explanation of approaches that can be utilized to achieve the most efficient path to a cure or management of a condition of ill health. Integration of these approaches allows each patient to choose a path to their cure that fits their needs, and achieves the best and safest outcome. Unfortunately, integration of these medical concepts is not forthcoming in our systems of payment and delivery of healthcare. This needs to change in order to truly develop real preventive and restorative medicine. Conceptual fighting in the medical field has been going on forever concerning the approach in medical cure of restoring homeostasis. There has been a strong debate on this subject in one form or another for centuries, and even today, such concepts of homeostasis as the balance of humours in the body, which refer to broad systems of classification, not to actual substances, are still derided as simple-minded idiotic ideas of pathology and physiology, even though some of the most renowned minds in our history espoused these concepts. Paracelsus created quite a stir in Europe in his notions of medical reform and advancing scientific and objective thought and testing in medicine, while still adhering to ideas of homeostatic balance and individualizing the diagnosis and treatment. Paracelsus advanced medicine by outlining our basic concepts of using laboratory testing and a careful system of analyzing objective data in medicine, but also emphasized the integration of traditional naturalistic medicine with standard allopathic concepts. The same ideas were espoused by Galen, and then distorted and derided. In the 1600s, one school of thought derided the past and announced that a new scientific method was to be used, and this concept has been repeatedly distorted to deny the validity of empirical science and create some sort of binary fight between scientific fact that can be recreated in the laboratory, and that which is observed in nature. In truth, there is no binary choice here, or fight, but merely the scientific accumulation of data from numerous sources, scientific assessment utilizing sound theories, and an outcome that most would agree appears to be the truth. Instead of agreeing that our concept of science involves observation of natural events, assessing all data, analyzing this data and coming up with theories, and then trying to verify these theories when possible by recreating the events in a man-made environment, such as a laboratory, to refine our scientific understanding, we seem to persist in medicine in deriding empirical evidence and theory, and creating a false notion that we can recreate everything in nature in a man-made environment. Any objective mind would call this a neurosis, yet this attitude persists. Today, we are learning that we only recently discovered the important role of the human Biome in our health because most of these symbiotic bacteria could not be grown and studied in the laboratory. A vast amount of scientific fact cannot be duplicated in a laboratory setting, and a quantum field of health data is still very hard to analyze. For this type of health data, empirical analysis of nature is still essential. Walter Bradford Cannon, the esteemed Harvard physiologist, quoted the French physiologist Charles Richet in his 1932 book The Wisdom of the Body: "The living being is stable. It must be so in order not to be destroyed, dissolved or disintegrated by the colossal forces, often adverse, which surround it. By an apparent contradiction it maintains its stability only if it is excitable and capable of modifying itself according to external stimuli and adjusting its response to the stimulation. In a sense it is stable because it is modifiable - the slight instability is the necessary condition for the true stability of the organism." Thus, to restore this stability that is necessary to maintain a healthy state and reverse disease, each individual must be assessed according to this homeostasis that is in constant flux. This principle is the fundamental concept in Daoist medicine, or the medical specialty of Traditional Chinese Medicine, and is a pragmatic and realistic approach in healthcare, supported by scientific understanding of health and the human organism. As science progresses in the twenty-first century, though, we see the conundrum of an apparent need to deride holistic medical philosophy to support the allopathic approach coming full circle again, as it has over and over in our history. As we study the minute workings of human physiology, we see that homeostatic function, such as allosteric regulation, is indeed the "second secret of life". In fact, as we map the human genome, we find that the holistic and homeostatic ideas of some of the scientists who discovered the genetic code, the "first secret of life", were indeed right in their assessment that this code of data is part of a holistic homeostatic mechanism, not a simplified set field of controlling data in just 23 chromosomes. This genetic and epigenetic homeostasis involves constant feedback and allosteric controls that create an almost infinite set of possibilities of action in genetic expression, held to a finely tuned equilibrium by a wide array of variable factors. When this complex homeostatic mechanism is thwarted, disease occurs, and the regulating proteins expressed by our RNA do not do their job within a quantum field of physiological events. We can try to block aspects of this dysfunction, and that is what our biosciences and pharmacological research explores, but we can also try to provide our bodies with the tools to correct this homeostatic malfunction, and let our programmed genetic and epigenetic processes do their job. This describes the integration of standard and Complementary Medicine, and is the most sensible approach. Homeostasis is still described in modern medicine in simplistic terms, that makes it seem like this mechanism is maintaining our blood sugar and temperature, but has little application to actual medical treatment. This ploy has been implemented historically throughout human history to promote a simplified modern medical science and a more businesslike one-size-fits-all approach to medical treatment. In Europe, we see groups of physicians deride Galen, then Paracelsus, and so on and so on, trying to convince the public that a factory model in healthcare is the most efficient. In the twentieth century, we see the American Medical Association created to destroy the popular belief in natural and holistic medicine, and the idea that supporting individual homeostatic function was the basic need in maintaining health. To this end, the degree of Medical Doctor was legally confined to the University medical schools, who then denied the study of traditional holistic medicine as well as creating a discrimination in medicine against racial minorities and women. The fundamental principle in this medical conflict was whether to support a medical philosophy that was restorative of natural homeostasis, or that developed new technologies to supplant it. The question of support for scientific acceptance of natural homeostasis has broader implications, though. As the esteemed Harvard physiologist Walter Bradford Cannon outlined in his writings, it appears that this fundamental concept of Natural Order can be applied scientifically to our civilization as well. Each society has an inherent homeostasis to maintain equilibrium, and when this homeostasis is not supported the civilization fails. Like the human organism, our civilization and social order is in constant flux, and we must exert intelligent effort to react to change and maintain equilibrium in order to have a healthy society. In recent decades, scientists have again noted that a homeostasis seems evident in the formation and maintenance of the planetary environment as well, and this can be directly applicable to our efforts to curb the adverse effects of global climate change. The Gaia Theory, also known as the Gaia Principle or Hypothesis, is a multidisciplinary view of the evolution of our planetary environment that shows that an intrinsic system of intelligent interaction is apparent in the creation and maintenance of the fluid and complex homeostatic environment that supports our existence. The chemist James Lovelock coined the term Gaia Hypothesis in the 1970s, but the scientific study was a collaboration of esteemed scientists in a number of fields that compared data to see if a holistic view of the scientific data achieved a better explanation for how our planet evolved and maintained such a complex and amazing environment and atmosphere, protecting life on the planet from enormous forces of devastating harm. The esteemed biologist Lynn Margulis then wholeheartedly endorsed this principle, which adhered completely to her understanding of the evolution of life on our planet. These scientists, like Walter Bradford Cannon, were not radical fringe scientists, but some of the most respected and esteemed experts in their fields. Of course, their view and findings were ridiculed by the standard scientific community. Added to this conceptual conflict was the rise of a ridiculous notion that ideas of creation and evolution were diametrically opposed, and the catchphrase Intelligent Design, first coined by the founder of our modern theories of evolution Alfred Russel Wallace (no, not Charles Darwin, who co-opted the scientific paper on natural selection sent him by the commoner AR Wallace, publishing first with the Royal Society), used by proponents of a simplified concept of creation to supposedly oppose science. The esteemed scientists supporting the theory that a planetary homeostasis was responsible for the health of our environment were caught up in a senseless debate that purported that all science was opposed to religion. The fact that Alfred Russel Wallace and Charles Darwin were very religious and thoughtful Christians, and that the concept that we now know as the Big Bang Theory, or the Great Singularity, was formulated by a Jesuit monk, seems to make no difference to most people. In much the same way, the Gaia Theory continues to be ridiculed. We do see that there is a holistic intelligence to the formation and maintenance of our planetary environment, the evidence is clear. While most may still cling to a set of Natural Laws that guide our physical reality, our greatest minds in recent years, such as Stephen Hawkings, have found that these "Laws" are not static, but instead changing and reactive to the whole quantum field of data, including time, space and cognition. We might now call this Natural Intelligence instead of natural law. The ancient philosopher scientists in China that we call Daoists also theorized that a Natural Order, or a natural scientific set of laws or principles, was universal to our reality, and a system of homeostasis was inherent in all things. In recent decades, this principle of homeostasis has expanded from an explanation of human health and physiology, to the health of a civilized societal order, to an explanation for the planetary environment, and finally to a tenet uniting concepts in theoretical physics referred to as holoscience, with a theory that finds that constantly adjusting physical realties are maintaining a static functional state of physical reality in 10 dimensions that creates a unified particle field theory that finally works to explain our physical reality. In fact, the principles of a homeostasis and a more holistic view have been adopted by economists and even the U.S. military to improve its success in dealing with a shifting world that appears to maintain equilibrium despite enormous pressures to collapse in disorder. Homeostasis, defined in Daoism as the continuous change but balance of Yin and Yang in our reality, is finally being recognized as perhaps the most important fundamental concept of science. This same universal system is what keeps us healthy, and to maintain health, and restore health, homeostasis needs to be put back on track and into balance. Our environment will always present difficulties for our bodies, for our homeostatic balance and maintenance, and we can help this intrinsic system work well in a large number of ways. The holistic approach in Daoist medicine, in the form of Traditional Chinese Medicine, provides may treatment protocols to help our homeostasis function at a high level. How do we support our individualized and fluid homeostasis? In standard medicine, or allopathic approaches, we create drugs and procedures to alter normal homeostatic mechanisms. The majority of drugs now synthesized in our medicine use pharmacodynamics that mimic or inhibit normal physiological and biochemical processes, or inhibit physiological processes in microbial organisms. We now know that our bodies are symbiotic with a large microbial Biome, that is essential to our health, and synthetic drugs that inhibit microbial homeostasis, and thus the human homeostasis, are problematic to maintaining our own homeostatic health. We have thought of the vast human symbiotic Biome as a purely parasitic colony and devised many ways to destroy it, and only now are we realizing how problematic this strategy has been. Pharmacodynamic mechanisms in use today act mainly via 7 mechanisms: 1) stimulating biological effects by agonism of cell receptors and downstream effects, 2) depressing biological actions by agonism of cell receptors and downstream effects, 3) blocking or antagonizing cell receptors, 4) stabilize cell receptor activity, 5) replacing or exchanging biochemical substances in the body, 6) benefiting chemical reactions in homeostatic mechanisms, and 7) damaging or destroying cells. These 7 basic mechanisms in pharmacodynamics in medicines show that we should have been placing more emphasis on stabilizing and benefitting normal homeostatic mechanisms to achieve a safer and more restorative array of medicines. Instead, the pharmaceutical industry has focused heavily on the other 5 pharmacodynamics. In Complementary and Integrative Medicine (CIM) the focus has always been on stabilizing and benefiting normal homeostatic mechanisms, and the use of herbal and nutrient chemicals that inhibit or strongly agonize or overstimulate cell receptors and biochemical functions, or that are toxic to the cells, are only used as a last resort. In holistic medicine there is no replacing of biochemical substances with synthetic mimics, but there is use of bioidentical substances found in plants and foods that supply a better bioavailability of these chemicals in the body when they are deficient. To enhance these medical effects, Complementary Medicine has devised protocols to stimulate or inhibit the homeostatic mechanisms as well, and acupuncture, or stimulation of trigger points with very fine needle stimulations, have been proven to be most beneficial in this regard. Much scientific study and measurement has confirmed that stimulation of trigger points with fine metal needles, heat, herbal chemicals, pressure techniques, electrical stimulation, and even such novel triggers as cold laser do indeed stimulate, decrease or modulate normal homeostatic mechanisms in the body. 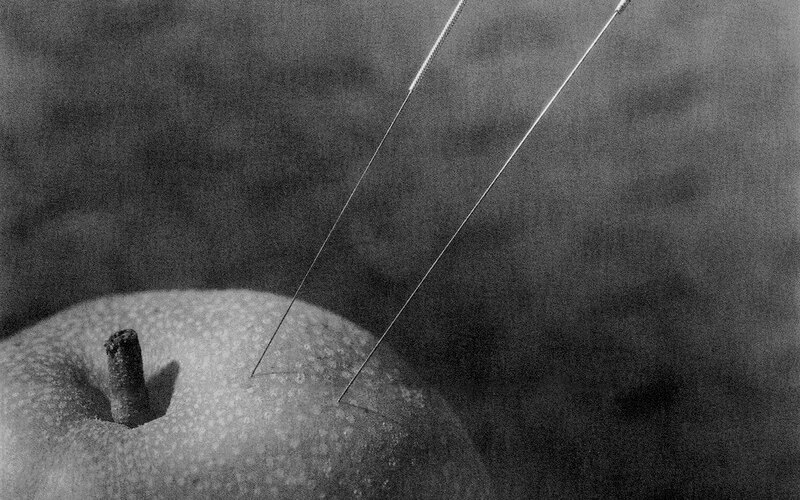 These triggering effects have been found to occur both locally and in the central nervous system, and are now measured with not only biochemical measurements in blood and fluid, but also with functional MRI and other more recent advances, proving that acupuncture stimulation does in fact alter homeostatic mechanisms, and the type of fine manipulation and stimulation on the needle allows physicians to have some conscious directed effect on the type of outcome. Also, direct manual physiotherapies that stimulate homeostatic mechanisms have been developed and refined, and have shown remarkable abilities to alter body homeostasis (see the article on this website entitled Deep Tissue Massage and it's many benefits). A comprehensive treatment protocol that combines these therapeutic protocols in the same treatment session provides greater results. By utilizing biochemicals that have evolved in nature, in herbs and foods that are part of the larger homeostasis of our human environment, we are acknowledging that this incredibly fluid and reactive system of homeostasis is vital to our health, and has been evolving and changing to promote a better system of survival and health for as long as life has existed on our planet. As human technology develops, so has a belief that this human technology should supplant Nature. We are only now realizing that in this modern industrial age that this is not a true concept. Human technology is simply part of Nature, not distinct, and as such, we need to always incorporate this technology to be part of a natural homeostasis, not supplant it. By realizing this we may be able to finally direct our technology to work more in tandem with nature, and create modern medical technology that emphasizes the restoration and aid to these homeostatic mechanisms, instead of the emphasis on supplanting and thwarting them. Traditional Chinese Medicine offers an example for this focus in medicine and public health, and when the public understands this, our world will be healthier. Homeostatic plasticity is a term that refers to adaptation to dysfunction in the body, and especially to the capacity of neurons to regulate their own excitability relative to neural network activity. Homeostatic plasticity implies that our bodies create mechanisms for staying functionally the same during periods of change. The subject of homeostasis in the study of neurophysiology was not seriously considered until the late 1990s, when evidence clearly showed that the strength and excitability of neural synapses in the brain were not fixed, but dependent on allosteric feedback mechanisms. These findings implied that many neurological diseases should be treated by restoration of homeostasis, not blocking of particular mechanisms of dysfunction. If the brain responded with homeostatic plasticity, the ability to affect it allopathically by inhibiting or encouraging just on physiological mechanism would be very limited, as the brain would adapt to such antagonism or agonism. A more holistic and modulating approach would be necessary to restore neural function. Many studies now demonstrate that the brain reacts to treatment with specific drugs by a homeostatic response. A phenomenon called synaptic scaling shows how single neurons regulate their overall action potential firing rate in a homeostatic manner, and adjusts the strength of their synapses relative to other neurons. Studies in 2006, at Stanford University Medical School, also showed that synaptic scaling was mediated by TNF-alpha, a pro-inflammatory immune cytokine involved in many chronic diseases (PMID: 16547515). A variety of immune modulators, hormones and neurotransmitters have been found that affect this homeostatic mechanism of synaptic scaling. Such research points to the need to adopt holistic treatment protocols that restore natural homeostasis, not just block specific mechanisms in the cycle of dysfunction. If this cycle of dysfunction is an allosteric feedback loop, affecting just one part of the cycle would stimulate a homeostatic response, partially negating the therapy, and creating other aspects of dysfunction. Antioxidant supplements may be needed in times of Oxidative Stress, which is defined as a disturbance in the prooxidant/antioxidant balance in favor of the prooxidants, leading to potential damage in cells and tissues. Consuming fresh foods supplies daily antioxidants to add to what your body produces, but in times of physiological stress you may need to add antioxidant supplements, and these chemicals comprise a family of molecules with diverse effects. Professional prescription allows the appropriate antioxidant to be prescribed for a particular type of Oxidative Stress, and thoughtful analysis by a professional Complementary and Integrative Medicine physician, applying this knowledge in an individualized approach within a more holistic treatment protocol will achieve the needed goals of therapy, while just taking a single hyped antioxidant supplement may do little good. The question is not one of which antioxidant is the best, but which may be needed in this particular instance to achieve this particular goal. The term antioxidant describes a diverse array of chemicals that the body uses to break down reactive oxygen species (ROS) of molecules, or oxidant free radicals. Free radicals are small parts of molecules that easily become part of another useful molecule in metabolism, and are created by catabolic processes, or breakdown of chemicals. For this reason they may easily combine with oxygen molecules to form reactive oxygen species, and these ROS are potentially reactive in ways that cause cell or tissue degeneration, or increase the load of cancerous mutations and inflammatory stress. ROS are found to be a significant cause or contributor to many chronic diseases, as well as playing a part in acute inflammatory dysfunctions that cause unnecessary symptoms. Most ROS have a very short life, normally lasting a fraction of a second, but some have a long half-life (time it takes for half of the accumulation to break down), lasting from seconds to days, and others need particular enzymes to control the process of elimination. These enzyme-dependent ROS are called hydrogen peroxide and superoxide anion radicals. The superoxide anion radicals require superoxide dismutases (SOD), glutathione, or other potent enzymes to be eliminated. Glutathione is the key cellular detox metabolism, not just another vitamin supplement. To better understand this important glutathione homeostasis, go to the article on this website entitled Glutathione Regulaton and the Importance of Maintaining Balance. A key mechanism in the human cell that is affected by oxidative stress and accumulation of ROS is oxidative phosphorylation, a metabolic pathway of the mitochondria within our cells where the oxidation of nutrients homeostatically recycles ADP to form ATP, or adenosine triphosphate, the source of much of our human energy. The failure of the mitochondria to adequately produce ATP is a focal concern in the cause of many serious chronic diseases. ROS with a half-life of a number of seconds may be created faster than we can break them down, and these are mainly nitric oxide radicals, peroxyl radicals, and peroxynitrite. Nitrogen in the body is mainly produced from the breakdown of proteins and amino acids, and a diet that is heavily weighted in proteins, such as one with a high meat and wheat consumption, may create excess nitrites (NO2). Nitrites and nitric oxide oxidize the iron atoms in blood hemoglobin, rendering it unable to carry oxygen. Nitric oxide is an important signaling chemical in the body, though, that is involved with both normal physiological processes, such as vasodilation, but also in many pathological processes, reacting with many heavy metal ions, as well as halogens, such as fluoride, chloride, bromide, and iodide. The chemicals created from fluoride and chloride, namely fluorine and chlorine, are perhaps the most powerful oxidizing agents in the body, and are widely used in commercial application because of their intense oxidizing nature, mainly to kill microorganisms in drinking water and swimming pools, or to supposedly decrease tooth decay. Bromide is also now widely used in processed foods, as well as natural pesticides, and added to the drinking water as well, and these three halides not only react heavily with nitric oxide, but compete in the body against the most useful halide, iodide, a component of the essential mineral iodine, which our homeostatic thyroid metabolism depends on. Iodine is also one of the most valuable antioxidants in the body in breast and thyroid tissue. We see that not only physiological stress, but environmental and dietary stress may create periods of increased need for specific antioxidants to reduce Oxidative Stress. Added to this is the wide use of nitrate preservatives in processed foods, which are a known trigger of many pathological diseases, such as migraines. Excess nitrites and ROS such as nitric oxide may be created from these sodium nitrate preservatives. To decrease the harmful effects of these short-lived ROS, the sensible course would be to reduce the red meat and simple carbohydrate foods in the diet, as well as processed foods with nitrite preservatives. This is the main reason that the World Health Organization (WHO) finally declared processed meats a class one carcinogen, or potential cause of cancer, in 2015, and excess red meat consumption a class two carcinogen, and declared that a varied plant-based diet provided much of the cancer preventive chemicals that we need. This WHO panel also pointed out that glyphosate herbicides such as RoundUp were a class two carcinogen, mainly because these glyphosates chelate essential minerals in the soil and decrease these nutrients in food. Attention to environmental toxins, and avoidance, as well as maintaining essential mineral balance would be very helpful in this regard as well. Oxidant reactive oxygen species with longer lives are most problematic. Superoxides are ROS (reactive oxygen species) that are biologically quite toxic, and created by our immune systems to kill invading microorganisms, such as bacterial infections, candida species, etc. that penetrate deep into our tissues and cells. Superoxides, though, may also be created by mitochondrial dysfunction, a subject that is increasingly linked to chronic diseases, especially neurodegenerative disorders and autoimmune diseases. Mitochondria are small organisms in our cells that are believed to be evolved from symbiotic microorganisms that invaded animal cells early in evolution and helped us to adapt to a toxic oxygen metabolism. Mitochondrial dysfunction may produce an excess of superoxides in the cellular respiratory process, and an imbalance of oxidative phosphorylation in cellular energy production, and the resultant mitochondrial oxidant stress, is a major contributor to chronic disease and cancers. To counter the toxicity of superoxides, our cells quickly produce enzymes such as superoxide dismutase (SOD), which can break down the superoxides almost as quickly as they are produced. Other molecules have a weaker SOD-like capacity, including glutathione peroxidase, and even hemoglobin in red blood cells. Humans that lack a great ability to produce SOD are more at risk for developing a number of diseases, including liver cancer, muscle atrophy, cataracts, haemolytic anemia, and immunodeficient syndromes, as well as being at risk for accelerated aging and age-related infertility. We can supplement with SOD, but there is a problem with utilization of this supplement, and a more common course is to promote a better SOD metabolism. Three forms of SOD exist in humans, SOD1 in the cytoplasm of cells, SOD2 in the mitochondria, and SOD3 in the extracellular fluids and tissues. Since SOD needs to be produced as needed quickly to counter superoxides, supplementation as a slower process has some benefit, but not enough to have created a market for the products. One of the overlooked natural sources for SOD is properly prepared dried barleygrass powder, which may be a very healthy addition to your dietary supplementation. Most of the types of superoxide dismutase created by our bodies are proteins cofactored with zinc, copper, manganese, iron and nickel. Since these essential minerals are deficient now in a large percentage of the world population, supplementation periodically could help the SOD metabolism greatly. There are many herbal chemicals proven to increase SOD, with evidence presented in this article, in Additional Information, and on many of the other articles on this website. A study in 2006, at the University of Colorado, showed that use of these herbs to promote improved SOD metabolism would be perhaps much more valuable than direct antioxidant supplementation, and this study link is provided below as well, at the end of this article. Our genes also react to oxidative stress, with numerous genetic RNA switches and epigenetic controls reacting to oxidative stress to trigger expression of regulating proteins from our main genes. Nrf2, or transcription factor-E2-related factor 2 is one such important genetic regulator of our cells reaction to oxidative stress. Nrf2 is expressed in all tissues, but the highest levels of expression are seen in the kidneys and liver, sites of detoxification. So far, over 200 genetic expressions have been found to be activated by Nrf2, and almost all of these regulatory genes are triggered to provide protective mechanisms related to oxidative stress, inflammatory mechanisms, clearing of protein peptides, and tumor suppression. Nrf2 is linked to the glutathione metabolism, and thus elucidates how our bodies regulate this important cellular detoxification system. Research is showing us that many medicinal herbal and nutrient chemicals work by enhancing Nrf2 expression and activity. Curcumin, milk thistle, ashwaghanda, bacopa, resveratrol, CoQ10 and lipoic acid have been shown in research to boost the beneficial effects of Nrf2. Achieving a healthy modulation of such homeostatic mechanisms central to antioxidant and detoxification effects should be the goal in disease prevention, and research is showing us how a healthy diet and use of Complementary Medicine achieves this goal even by aiding the balance of genetic expression. One of the key homeostatic mechanisms in the body is the regulation of cell life and death. All of our cells must fulfill an optimum lifespan, and when they age, must die, or the whole organism will suffer. This process is called apoptosis (falling away from), or programmed cell death, and is essential to our health. Each day in the human adult, between 50 and 70 million cells undergo this apoptosis, and when the mechanisms are delayed, many of these cells may undergo cancerous mutation and degeneration that leads to serious dysfunction, especially in the brain. The key mechanism that guarantees this programmed cell death is the breakdown of the mitochondrial membranes, which releases toxins into the cell that insures its death. When the mitochondria experience dysfunction, and fail to produce sufficient energy for the cell, this homeostatic series of feedback events that controls cell lifespan breaks down, and the human body accumulates dysfunctional and mutated cells. The mitochondria in our cells are a symbiotic organism with their own genetic controls, and are crucial to human cell efficiency, allowing our human cells to utilize oxygen to create biochemical electrical energy. Without the mitochondria, a human cell would essentially cease to respire aerobically, and would quickly die. As oxygen is used aerobically, reactive oxygen species (ROS), or free radicals, are generated, and if the balance of generating reactive oxygen species in oxidative phosphorylation and the clearing of these ROS is upset, oxidative stress occurs, and either the delay of apoptosis, or the early initiation of cell death in healthy cells, occurs. A number of key mechanisms in this homeostatic regulation of apoptosis are the focus of treatment protocols in many serious diseases. Apoptosis is largely triggered by the Tumor Necrosis Factor (TNF) pathway, and the caspase-induced First Apoptosis Signal (Fas) pathway, and is often controlled by the balance of local steroid hormone effects. In cells of the breast, uterus, ovary, prostate, and thyroid gland, the imbalance of steroid hormone receptors outside and inside the cell membrane lead to a delay of apoptosis, and initiate cancer. This hormonal metabolism in local tissues is more complicated than just the systemic hormone levels, with hormones readily converted in local tissues to other hormones as needed, which is one reason why Hormone Replacement Therapy is a potential cause of cancer. Once again, standard allopathic medicine has failed to realize the importance of homeostasis. Growth factors, hormones, immune cytokines, neurotransmitters, and enzymes interact in this complex homeostatic mechanism many millions of time per day to keep our cells healthy and functional, protecting us from disease. Oxidative stress and the disruption of the cellular energy metabolism in the form of oxidative phosphorylation are key factors in the breakdown of this homeostatic system. Integration of Complementary Medicine, in the form of acupuncture, herbal and nutrient medicine, and even physiotherapy, as well as advice in diet, lifestyle and therapeutic activities, will help keep this amazing homeostasis functioning well and both treat and prevent disease.This whole package of care is important, not just a single treatment protocol, and hence it is called holistic medicine. Free radicals are a broad class of molecules, or parts of molecules, that are common to our physiology, and are freely exchanged between compound molecules, but that are incapable of staying together in a free unattached state. When there are too many chemical exchanges taking place, these free radicals attach to a free oxygen and stay intact instead of breaking down into simple atoms and elements. Oxidant free radicals are also created when water is not properly utilized and broken down in the body into hydrogen and oxygen ions. When our cells need to dissolve unwanted chemicals faster, oxygen is an element that will quickly burn up these unwanted chemicals, and the cells will produce hydrogen peroxide and other oxidants to clean itself up and speed the breakdown of unwanted chemicals. When our bodies need increased circulation, cells may produce the oxidant nitric oxide to dilate the blood vessels. Oxidants are normally useful in the body, but Oxidative Stress, or an imbalance of prooxidants greater than antioxidants, creates accumulations of Reactive Oxygen Species (ROS) that are pathological, especially in degenerative diseases and cancers. Homeostatic balance is all-important in achieving a healthy antioxidant state and controlling oxidative stress. Maintaining this balance will prevent much threatening disease. Oddly enough, oxygen and radiation from the sun are perhaps the two most toxic parts of our environment, yet life has adapted on this planet to utilize these potent forces of nature as our chief sources of energy. We do this safely by keeping most of the oxygen in our bodies in the form or air (O2), or water (H2O). Oxygen in other forms, called oxidants, are quickly utilized and broken down to reform water, or become a waste product that we call carbon dioxide (CO2), much of which is eliminated via breathing. As stated, many of the common oxidants (molecules that contain oxygen) have a short life in our bodies normally. Two of these oxidant molecules need enzymes to speed breakdown, hydrogen peroxide (H2O2) and superoxide anion radicals (containing O2 with a negative charge). There are four main enzyme classes that speed these breakdowns, superoxide dismutases, glutathione peroxidases, catalase, and quinone reductases. There are six classes of nonenzymatic antioxidants commonly used in the body, ascorbate (Vitamin C), tocopherols (Vitamin E), flavonoids, carotenoids (e.g. Vitamin A), urate, and the most prolific, glutathione. Glutathione is produced continuously by our cells, but needs a balanced chemical bioavailability of key nutrients. Urate, and uric acid, is produced by our cells from the breakdown, or oxidation, of the amino acids that make up DNA and RNA, called purines. Uric acid is the most prolific antioxidant in blood circulation, and glutathione is the most prolific antioxidant inside of our cells. When we try to boost our antioxidant capacity, we should try to improve the glutathione and urate metabolisms as the most important steps that we can take. We may also need to boost the body's capacity to produce the enzymes that break down superoxide radicals and hydrogen peroxide. Although glutathione is not dependent on enzyme regulation, a couple of enzymes are important in the glutathione mechanisms of detoxification within the cells. So, we may help our bodies in times of physiological stress, acute or chronic, by boosting the body's antioxidant capacity, both by consuming specific antioxidant supplements, or by improving the health and the capacity to produce antioxidant activity. Commonly, though, we think of helping our antioxidant capacity by consuming more food antioxidants. Of course, meat is especially high in purines, especially organ meats, and excess consumption requires higher amounts of urate metabolism, although purines are found in all foods, and all of our tissues and cells are composed of DNA and RNA. Eating less red meat, and especially organ meats, such as lunchmeat, sausages, and some ground beef and turkey, will decrease the need for urate antioxidant capacity. Eating more whole grains and fresh vegetables and fruits will thus help achieve a state where our antioxidant capacity is not exceeded. There are a number of conditions that will impede the urate and glutathione metabolism (a separate article on this website is devoted to an explanation of the glutathione metabolism), and these health problems may also need to be addressed. Chronic health problems, including accumulations of toxins and heavy metals in our tissues, may need to be treated and resolved to efficiently decrease our antioxidant needs. Some form of chelation may need to be utilized to help clear heavy metal toxins from our bodies, if accumulation is suspect. Our bodies normally clears heavy metal ion toxins, but once again, the capacity to clear these molecules may be insufficient, especially with increased exposure and consumption, or with aging. We see that the question of antioxidants involves a holistic answer, eating healthier, taking specific supplements when necessary, and improving key aspects of our homeostatic metabolism. Besides urate and glutathione, the other four classes of nonenzymatic antioxidants are found in foods and herbs. Glutathione and urate are only produced by the body, not taken in as food nutrients. Fresh fruits and vegetables are generally high in common antioxidants, as are beans. Some herbs are especially high in beneficial antioxidants, especially flavonoids, and even some common herbs and spices, such as cinnamon, oregano and cloves are rich in antioxidants. Dill, thyme, rosemary and peppermint are some of most antioxidant-rich common food spices and herbs. Studies show that one tablespoon of fresh oregano contains the same antioxidant activity as a whole apple. Foods that are naturally high in antioxidants include dried beans, berries, green tea, artichoke hearts, carrots, oranges, apples, grapes, dark leafy greens, sprouted beans and seeds, red peppers, beets, shallots, pecans, walnuts and hazelnuts. Creating a diet where these are consumed regularly is sensible. When the antioxidant needs are greater, specific nutrient medicines may be necessary. One source of superoxide dismutases that is effective is dried barleygrass powder, which contains a host of beneficial chemicals and other antioxidants as well. In general, these nutrient antioxidants are found in high concentrations in a variety of herbal medicines, and explain some of the effectiveness of these herbs. Most medicinal herbs have a chemical profile that contains 10-50 known active chemical ingredients, and the benefits from herbal medicine include a host of activites that are associated with these chemicals, including antioxidant capacity. Prooxidants are chemicals that stimulate excess reactive oxygen species of free radicals. The most significant of these in scientific studies are oxidized fats, or lipids, that may result either from poor quality fats in the diet, or from a poor liver metabolism that is supposed to control and regulate the lipid metabolism. Oxidized lipids are a key part of the dysfunction that creates atherosclerosis and cardiovascular disease. Patients with high triglycerides in circulation, or an imbalance of HDL to LDL, may end up with an excess of these oxidized lipids. Metabolic syndrome and obesity may need to be resolved to decrease oxidative stress, as well as the taking of antioxidants. In the diet, transfats and unsaturated fatty acids produce high levels of oxidized lipids. Consumption of healthy fats, such as cold-pressed olive and walnut oils, fish oils, and fresh nuts and seeds, help maintain a fatty acid balance. Some common antioxidant chemicals found in red wine (grape skins), green tea, and cocoa, have shown a capacity to reduce reactive oxidative lipids after meals. Another prooxidant that is being studied in relation to disease are aldehydes, which are simple carbohydrates that usually contain a free radical attached to a single carbon atom. Excess aldehydes are created from overconsumption of alcohol, candida overgrowth, and various other common unhealthy conditions. The word aldehyde refers to alcohol dehydrogenation, and aldehyde is a byproduct of the breakdown of acetaldehyde to ethanol or vice versa. Since alcohol is a common molecule in nature, produced by fermentation, for instance, aldehydes are common organic molecules, with many uses in the chemical industry as well. Many fragrances used in commercial production are aromatic aldehydes, and it is surmised that aldehyde excess in the body stimulates immune responses that explain the growing hypersensitivity to fragrance chemicals in the population, or that various synthesized aromatic aldehydes may create toxicity in the body. Aldehyde accumulation in the cells and tissues leads to reactive oxidative aldehyde molecules, also requiring enzymatic activity to reduce them in the cells. Current studies show that reactive aldehydes play an important role in the etiology of cardiovascular disease as well as neurodegenerative disorders and cancer. A lack of aldehyde dehydrogenase enzyme in the body is linked to cardiovascular disease. This is a family of enzymes rather than a single protein enzyme. With excess intercellular aldehyde stress, metabolic changes occur that stimulates a requirement for increased glutathione clearing and detox. Patient concerns include excess alcohol consumption, poor liver health, systemic candidiasis, and a poor glutathione metabolism. One particular aldehyde that has been implicated in a number of tissue diseases, as well as cancer, is malondialdehyde (MDA), or CH3(CHO)2, a key marker of oxidativ stress. This simple molecule would seem inocuous, yet it has been well studied in the last 15 years and found to be implicated in cancerous cell mutations and carcinogenicity, as well as a number of tissue diseases, including pathologies of the eye (keratinosis) and even tissue lesions in the lung associated with spontaneous pneumothorax, as well as atherosclerosis. In recent years studies with more accurate measurement of MDA stress and toxicity have discovered a strong association between subclinical hypothyroidism and malondialdehyde toxicity as well (PMID: 18727709). Molandialdehyde is a naturally occurring byproduct of fat breakdown in our cells, or lipid peroxidation, as well as inflammatory processes such as prostaglandin synthesis, and is implicated in fatty liver disease and metabolic syndrome. Chronic inflammatory states, systemic or localized, may create a high level of malondialdehydes. Scientific study has been trying to unlock the pathological mechanism of malondialdehyde for some time, and we have discovered that low grade deep bacterial infections may be linked to malondialdehyde mutagenicity, or cancer cause. Malondialdehyde may react with DNA to form chemical adducts, the major one called M1G. M1G has been found to be mutagenic in bacteria. M1G has been found in various pathological tissues in the body, in the blood cells, liver, pancreas, and breast, and may contribute heavily to these cancers. This type of potential damage and cancer cause associated with malondialdehydes is also linked to oxidant reactivity to polyunsaturated fatty acid residues in phosopholipid membranes. A related subject is advanced glycation endproducts, or AGEs, which are difficult protein sugar fat combinations that we eat (mainly fast food and snacks) and that our bodies may produce in excess (see a separate article on this website concerning AGEs or advanced glycation endproducts). Some experts have termed the complex lipoprotein adduct byproducts of malondialdehyde toxicity advanced lipoxidation endproducts (ALE). We see from such study the ill effects of a variety of seemingly inocuous factors, including the high consumption of poor quality fats in the diet, poorly controlled chronic inflammation, and an immune system that is not properly handling deep low grade infections. The way to correct these health threats from malondialdehydes is to eat a healthier diet, get sufficient exercise, and help the immune and antioxidant processes in our bodies, which can be accomplished with the help of a knowledgeable Complementary Medicine physician, such as a Licensed Acupuncturist and herbalist. In fact, studies in recent years show that specific acupuncture stimulations achieve significant reduction of malondialdehydes in circulation. The key to clearing this toxicity is to adopt a complete holistic regimen, not to look for the one thing that has the most impressive advertising campaign to "detox". Acupuncture therapy starts with a healthier diet and lifestyle considerations and works synergistically with herbal and nutrient chemicals supplied both by the diet and with medicines. Age is also an important consideration in antioxidant use. Numerous studies have shown that the metabolic capacity of the glutathione and cysteine metabolism decrease significantly with age. As we age, we need to spend more energy on health maintenance if we want to avoid the common diseases associated with aging, especially cardiovascular disease and cancer. Increasing the intake of a variety of supplemental antioxidants is a smart move with aging, but not just chronic intake of a particular antioxidant. Most herbal medicine also supplies key antioxidant molecules. Since these supplements are expensive, you might want to take short courses of a variety of antioxidant supplements periodically. Of course, improving the diet is most important as we age. Unfortunately, the general diet of the aging population in the United States has decreased in quality, rather than improved, due to a number of factors, including changes in the appetite, decreased income and mobility to purchase healthy foods, and advertising that urges the aging population to buy processed foods from large corporate grocery chains. The smart patient, as they age, will overcome these tendencies and explore healthier options. Super-oxide dismutase (SOD): this enzyme neutralizes perhaps the most dangerous of free radicals, superoxide. It also aids in maintaining cellular health and the utilization of zinc, copper and manganese. Dried barlegrass powder is perhaps the best source of SOD, although pill supplementation with either copper/zinc SOD or manganese SOD is also available. Copper/zinc SOD protects the cytoplasm of the cell, whereas manganese SOD protects the mitochondria. The pills must be enterically coated to insure that they pass the stomach acid without being destroyed. The manganese SOD is perhaps best in neurodegenerative disorders, while the copper/zinc SOD is best utilized in cancer prevention. Glutathione peroxidase: this enzyme contains four selenium cofactors and is a very efficient scavenger of hydrogen peroxides in the cells and tissues. It is very useful when there is tissue repair or injury, and is also useful in detoxification and central nervous system pathology. Selenium supplementation, or herbs rich in selenium may help this process, as well as increased liver function. Vitamin B2 riboflavin, alpha-lipoic acid (ALA), the amino acids L-cysteine, L-glutamate, and glycine, as well as Schisandra berry and milk thistle, may all aid the formation of glutathioine peroxidase. Direct supplementation with glutathione is problematic, as it is not well absorbed across GI membranes. Since your gut flora and fauna may produce glutathione, probiotics may help you to achieve better antioxidant production. Prolonged viral illnesses may use up too much selenium in the body and lead to glutathione deficiency. Bioflavonoids: rose hips, passionfruit, grape, artichoke, St. Johnswort, Gingko Biloba, passionflower, huangbai, and many other Chinese herbs are rich in flavonoids. 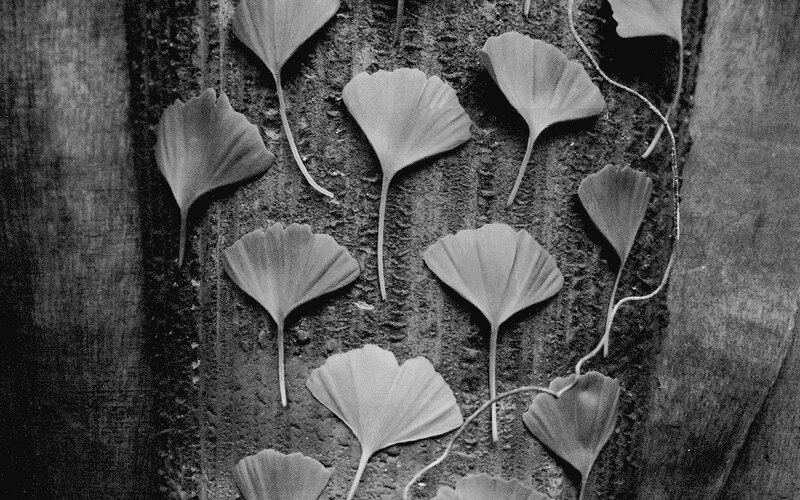 Gingko Biloba also is proven to enhance microcirculation, leading to its reknown for aiding memory, mental function, pain relief, inhibiting blood clotting and lowering blood pressure. Flavonoids, or bioflavonoids, are a class of secondary metabolites found in plants, referred to in health science as Vitamin P. The term flavonoid refers to a yellow pigment, and indicates a ketone-containing compound, such as anthoxanthin. These beneficial pigments in plants are what make such colorful foods as berries and other fruits so healthy. Besides being great antioxidants, these pigmented flavonoids supply us with anti-microbial, anti-fungal, antiviral, anti-inflammatory, anti-allergic, and anti-cancer chemical compounds that our bodies utilize to create its own homeostatic molecules. Procyanidins, OPCs, quercetin, resveratrol, and other bioflavonoids have shown medical efficacy in controlled, randomized, human clinical trials, and while most bioflavonoids in foods are not assimilated and utilized, but merely excreted, in healthy human subjects, the body will absorb and utilize these chemicals as is needed. The unhealthy individual will have greater utilization of bioflavonoids. Use of herbal extracts and standardized concentrated forms of bioflavonoids will of course insure greater bioavailability. Eating berries will not produce the same bioflavonoid benefits as medicinal bioflavonoid extracts and formulas. While these studies show that flavonoids in foods are not a panacea for treatment of disease, as advertised, they do show that even in a healthy individual, the 5-10 percent of bioflavonoids absorbed and utilized are necessary for health, and even the high percentage of bioflavonoids in food that are excreted exert strong benefits for the health of the gastrointestinal tract and measurable effects in the blood. While the pharmaceutical industry is now creating bioflavonoid drugs to treat illness and act as antibiotics, these chemicals are inexpensive and available in a diverse array in foods, herbal and nutrient medicine, which is something that the pharmaceutical industry will not be able to duplicate. Oligomeric Proanthocyanidins (OPCs): these are a class of flavonoids; whole grape extract is the most well known source of OPCs, and are especially useful in tissue injuries, cardiovascular repair and allergic and inflammatory responses. Whole pomegranate extract is also a very potent source. Green tea has been proven to decrease breast cancer risk and benefit many health conditions due to its concentrated OPCs, and bilberry, black currant, cranberry, blueberry, elderberry and tart apples are also good sources. The Granny Smith apple is now famous for its concentrated OPCs. The black chokeberry (aronia melanocarpa or photinia melancarpa) is found to have the highest concentration of OPCs in many current studies, and is a medicinal plant native to the United States. Analoguous medicinal plants in China are used, from the Rosacea family, and a number of Chinese herbal pharmaceutical companies are already marketing this product (Xian lei hua qiu, or hong guo xian lei hua qiu). A more common, but related, berry in China is the wolfberry, or Goji or gou qi zi. Other fruits high in OPCs have become very popular, including Acai, Noni and Mangosteen. Beta-carotene and other carotenoids: walnuts, carrot juice, spinach, barley, barleygrass, papaya, spirulina, alfalfa sprouts, bok choy, mustard greens, beets, bell peppers, sweet potatoes, and watercress are rich in beta-carotene, the precursor to a type of Vitamin A. These antioxidants are especially good for maintenance of the membranes and skin, and are thus preventative against frequent sinus infections and allergies, skin outbreaks and rashes, skin cancer and eye diseases. They are also well-known as scavengers of carcinogens and guard against heart disease and stroke for those that are at risk. Herbs such as comfrey, gotu kola, chrysanthemum, wormwood, gouqizi berry, and hibiscus are also good sources. Other carotenoids that have been found to be potent antioxidants include lycopene, which is a common food pigment, but does not form Vitamin A molecules. Lycopene has been found to be the principal carotenoid antioxidant in blood and various tissues, and has been found effective in studies treating or preventing prostate cancer, atherosclerosis, breast and ovarian cancers, and metabolic syndrome. Quercetin: speaking of quercetin, a very valuable nutrient, tasty shallots are very high in this beneficial substance, as is evening primrose oil and steel cut whole oats. Quercetin helps with allergies, pain, viral infection, cancer, PMS, aging, asthma, autoimmune disorder, diabetes, prostate hypertrophy, candidiasis, poor liver function, birth defects, and neurological disorders. It is also a strong antioxidant, anti-inflammatory, and MAO-A-inhibitor in depression. Other plants rich in quercetin include okra, garlic, beet, tea, escarole, endive, cilantro, parsley, buckwheat, sour cherry, black currant, rose hips, cranberry, ginger, spinach, valerian and milk thistle. A number of Chinese herbs are very rich in quercetin, which is one reason they were chosen as medicinals. Resveratrol: resveratrol is a chemical that has been isolated and highly studied in China, abundant in the Chinese herb Polygonum cuspidatum (Hu zhang), sometimes referred to as Bushy knotweed. Resveratrol studies showed dramatic benefits as a potent antioxidant, aid to vascular health, anti-cancer agent, neuroprotective agent, a stimulator of lypolysis and modulator of fatty acid metabolism, and an anti-angiogenesis agent. This dramatic set of benefits spurred the American pharmaceutical industry to try to synthesize a version of resveratrol that could be patented and widely used in standard medicine, but also led to a huge propaganda campaign insisting that resveratrol was merely a component of red wine. The amount of resveratrol in grape skin, though, was minimal, and studies showed that a consumption of gallons of red wine per day would be needed to achieve affective dose. Nevertheless, as resveratrol gained popularity in prescription by medical doctors, all advertising and advice suggested that resveratrol was derived from red wine, whereas the actual source in supplements was the Chinese herb Polygonum cuspidatum. Resveratrol, a phytoalexin, was found to affect chemical messengers called sirtuins dramatically, but scientific study found a wide range of metabolic effects, and synergy with a number of cellular messengers. Combinations with various other herbal and nutrient chemicals showed greatly enhanced beneficial effects, especially with combination of resveratrol with quercetin and genistein, as well as other antioxidant chemicals in medicinal berries. Today, these combinations of resveratrol with other chemicals provide significant potential for resveratrol as a medicine. More and more studies demonstrate that resveratrol is able to reverse cellular oxidative stress affecting superoxides and reductions of endothelial nitric oxide synthase, and a number of studies have shown that resveratrol and quercetin offer promise of positive effect on exercise-induced oxidative stress and muscle damage as well, especially when combined with other herbal and nutrient polyphenols and catechins. Coenzyme Q10: highly praised and utilized in Japanese medicine, CoQ10 was first discovered at the University of Wisconsin in 1957, and since has been the subject of much study. The use of certain pharmaceutical drugs, such as statins, may deplete CoQ10, requiring some supplementation. Also, the chronically ill and infirm may suffer from a deficiency. Migraine sufferers benefitted significantly in 2 randomized controlled trials. Patients suffering a heart attack increase survivability from a second attack by using CoQ10, according to a randomized controlled study, and meta-analysis reveals that it is helpful in reducing high blood pressure significantly. The amino acid L-tyrosine and the Vitamin B5 pantothenic acid are necessary parts of its synthesis in the body, and may be utilized. It is a lipid-based antioxidant like Vitamin E, and may be found in herring and mackerel, or taken as a pill. It benefits mitochondrial health, and thus may be beneficial in neurodegenerative conditions. CoQ10-H2 is a newer patented form of a more active CoQ10 metabolite, able to provide cells more CoQ10 with a lower dosage, and stimulates more CoQ10 in circulation. CoQ10 enhanced with mixed tocopherols (Vitamin E) also are proven to supply a profound benefit to the liver, and aid regeneration of Vitamin E tocopherols in cell membranes. This form of enhanced CoQ10 is also found to be more bioavailable and naturally solubilized for greater absorption, with such added ingredients as d-limonene oil, glycerin, medium chain triglycerides, turmeric extract and zinc oxide added in a patented process to benefit the liver cells and reduce oxidized lipids. Clinical trials have demonstrated that a combination of CoQ10, vitamin B2, and Magnesium provide relief and prevention of migraine headaches comparable to standard pharmaceutical medication. Melatonin: this hormone and neurotransmitter may be the most efficient free radical scavenger identified to date. Unfortunately, it is highly regulated in the body, and excessive supplementation may have effects that the patient doesn't like. It is good to correct any hormonal and neurotransmitter or CNS imbalances in order to insure efficient production and use of melatonin in the body. It also stimulates increases glutathione peroxidase activity in the body, and produces this indirect antioxidant benefit. Glutathione-enriched yeast and rice embryo/soybean extract (GEY/RES): this new product is being researched to reduce the effects of hangovers and alcohol toxicity, and is found to modulate alcohol-metabolizing enzymes and exert significant antioxidant effects, reducing blood acetaldehyde and alcohol concentrations while also reducing related reactive oxidative free radicals. While not readily available on the market yet, such novel nutrient medicines are being explored for the future. Selenium: selenium is an essential mineral nutrient and strong antioxidant, as well as an active component of glutathione peroxidase enzyme. It is found in pecans, Brazilnuts, milk thistle, sorrel, and wheatgrass in high concentrations, and in smaller amounts in pumpkin seed, thyme, raspberry and black walnut. It is also found in a number of Chinese and native herbs, including He shou wu, sheng ma, ginseng, crampbark, nettle, echinacea, buchu, lemongrass, and barberry. Supplementation is often used in cases of hypothyroidism and immune dysfunction. R-Lipoic Acid: lipoic acid is a thioctic acid that is naturally occurring in the body and R-Lipoic Acid is the isomer that is endogenously synthesized in the mitochondria of cells, particularly CNS, or brain cells. R-Lipoic acid is an essential cofactor for several mitochondrial enzyme complexes related to energy production and to enzyme dependant antioxidant activity. R-Lipoic acid may be reduced in the cell to DHLA, which is shown to effectively reduce ROS (reactive oxygen species) and RNS (reactive nitrogen species), although this antioxidant activity is of short duration. The greatest benefit of DHLA is that it is able to oxidize glutathione, ascorbic acid and CoQ10, which in effect recycles, or regenerates, these potent antioxidants. Concurrant use with CoQ10 or supplements that increase glutathione metabolism will perhaps increase its effect. R-Lipoic acid and DHLA are also able to chelate iron and copper accumulation in the tissues, preventing these metal ions from generating free radicals, and providing significant neuroprotection. Iodine and Iodide / Iodoral: iodine is an essential mineral that is a key component of thyroid hormones, and iodine deficiency is a prevalent problem in modern industrialized countries due to depletion of iodine from the soil due to modern farming methods, as well as the halide competition from chlorine, fluoride, and bromides, which are much used in commercial products and added to the water supply. Much of the iodine in the body is derived from iodide, which is a potent antioxidant in the thyroid gland and breast tissue (90% of the iodine and iodide in the body is stored in the thyroid and breast tissues). Iodine deficient states are proven to create significant oxidative stress through overuse of available iodide in tissues, reducing antioxidant protection, and conversely, lack of iodide in oxidative stress is shown to create a lack of available iodine and results in hypothyroid states and excess TSH production. In states of oxidative stress, such as goiter, nodular thyroid disease, or breast cancer, the cytotoxic effects of iodide are greater when there is selenium deficiency and a lack of antioxidative enzyme activity. In these diseases, we want the iodide to exert a cytotoxic effect against cancer cells and abnormal tissue growths. Health data has long found that populations that are not iodine deficient, such as Japan, with a routine diet of iodine rich seaweed, have much lower incidence of breast cancer. In the mid-twentieth century, the association of iodine deficiency in the U.S. with goiter and toxic nodular thyroid disease prompted public health experts to demand an addition of iodine to table salt and drinking water, and a dramatic decrease in these diseases resulted. Since then, table salt manufacturers have adopted poor quality iodine additive, bromides have been substituted in drinking water, commercial bakery products, and even pesticides, competing with normal iodine absorption and assimilation. Fluorine and chlorine, also negative competers with iodine, have also been increased in our water, and toothpastes. Iodine and selenium deficiency combined is also found to be related to thyroid cancers and benign growths. Measurement of iodine via challenge with urinary testing (24 hour collection), or professional assessment of health profile, has been needed to predict true iodine deficient states. Recently, though, ZRT laboratories have completed their refinement of complex testing and assessment of iodine levels utilizing a simple urine dipstick test. Supplementation should always be guided by a health professional, as there is a possibility that long term high dose supplementation could decrease antioxidant protection overall. Iodoral is a product with balanced iodide and iodine, available in low to high dose. Concurrent use of selenium, methylselenium, and/or supplements to increase glutathione metabolism are recommended to enhance the antioxidant effect. SOD may also be a potent antioxidant to take concurrently. If iodine deficiency is suspected, concurrent use of dried barleygrass powder and methylselenocysteine may potentiate the antioxidant effects. To guard against adverse reactions and antioxidant stress, gradual increase in Iodoral dosage to desired leveles, and gradual decrease when finishing the course is recommended, and caution is advised for any prolonged supplementation with moderate to high dose. Since iodine and iodide store in thyroid and breast tissues, prolonged supplementation is unnecessary. AL-Neutralizer, or Aldehyde reducing antioxidant formula: as stated above, aldehydes are byproducts of various types of oxidant stress, especially when excess fermentation occurs in the gut, excess alcohol is consumed, or when candida overgrowth affects one. Studies of oxidant stress in the brain following short periods of decreased blood flow, or ischemia, which occurs in strokes and transient ischemic attacks (TIAs), show that malondialdehyde levels significantly increase as antioxidant acitivity in lipid peroxidation stress occurs. Aiding clearance of aldehydes with a formula of antioxidants has been shown to decrease symptoms related to chronic candidiasis considerably, especially the foggy brain, or hangover effect, often seen in this disease. A blend of Vitamin C, B1 as thiamin hydrochloride and pyrophosphate, B2 as riboflavin-5-phosphate, B3 as niacinamide, B6 as P5P, B5 as pantothenic acid, chelated magnesium, zinc, molybdenum, N-acetyl cysteine, betaine, and R-lipoic acid combine to form this potent aldehyde clearing product, available from Vitamin Research Products. There have been some reports of adverse effects of certain antioxidant use, although careful analysis has discounted this proof. Some studies using limited data have reported slight increases in mortality in smokers suffering from lung cancer, but no health risk was seen when all the randomized controlled studies were examined together. Some oil-based antioxidants may achieve toxic levels at high dosage, and this should be avoided, but most antioxidants are water-based and excreted efficiently in the body. Some herbs with high antioxidant content may interfere with efficient absorption of mineral nutrients in the diet. For this reason, herbs are generally taken between meals. It has been speculated that anti-oxidant therapy may interfere, theoretically, with radiation or chemotherapy, but multiple clinical trials have indicated that there are only beneficial effects in simultaneous use of antioxidants and these therapies in cancer treatment protocol. A high dosage of alph-tocopherol Vitamin D was associated with some negative outcomes in clinical trials, but not when concurrent supplementation with selenium was used, and now mixed tocopherols are recommended if a higher dosage or longer duration treatment is used. As with all therapies, a balanced effect and restoration of the natural homeostatic mechanisms of the body should be the goal, not an allopathic effect of altering the homeostasis. Restoring healthy function and letting the body do what it is genetically programmed to do is the most sensible strategy.